Pakistan is all set to go down in the third Test but there is a welcome sign of it fighting all the way. At close of play on the third evening, they had reached 153-3 in their second innings, there are still 228 short of an improbable winning target set by South Africa. 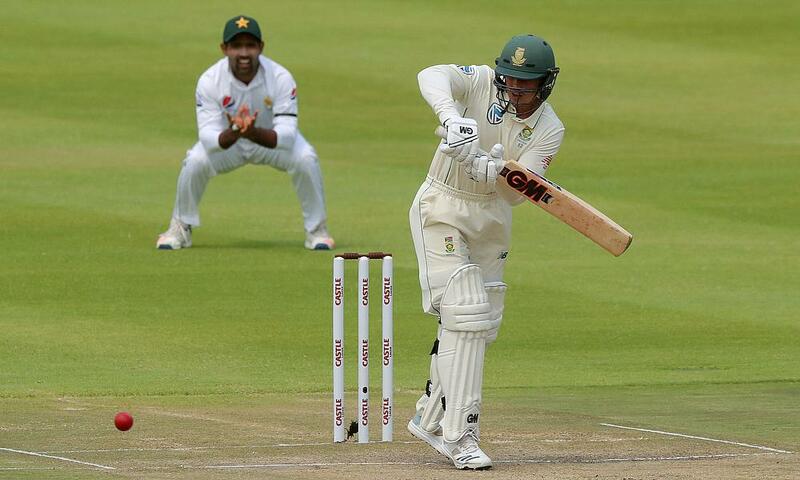 The home side has been by far the better of the two sides and with the pitch easing out and apart from an odd ball, one of which dismissed Hashim Amla for 71 off Hasan Ali, batsmen had a much better day today at the Wanderers. On resumption in the morning, Amla and Quinton de Kock extended their 6th wicket stand to 102. 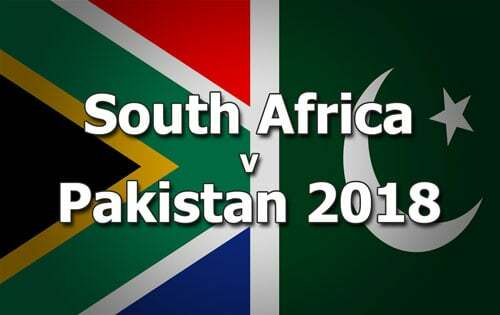 With de Kock freeing up his arms and having a good measure of Mohammad Abbas, with a series of off-side boundaries, Pakistan it seemed were out of contest and merely waiting for a declaration, which never came. He was in no mood to miss out, having not scored a Test hundred since January 2017. His fearless approach has made him indispensable in all three formats. Left-handed de Kock is a role model for young South Africans and a replica of the great wicket-keeper/batsman, Adam Gilchrist. Watched by hundreds of school children in the park area dedicated for a leisurely viewing, his 100 off just 121 balls, thrilled the Sunday crowd. There were few nervy moments on 99 but a low full-toss from Faheem Ashraf was smashed to the long-off boundary, for his fourth Test hundred and first on his home ground. A gutsy knock for he lifted his team from a tricky 93-5 to 303 all out, without compromising his sense of adventure and batting so well with the tail enders. It took a long-hop to dismiss him, caught in the deep off Shadab Khan, for his equal career-best 129, going for his second six in a row. Faced with a daunting fourth innings target of 381, Pakistan openers – Imam-ul-Haq and Shan Masood - with hardly any swing or sideways movement on offer, gave their side a positive start. Their partnership of 67 runs was broken in the 20th over when Dale Steyn, back to his best rhythm of the match, had Imam, caught behind by de Kock. A similar fate awaited Imam’s partner Shan and with Azhar Ali, too not in great touch and departing for 15, Pakistan suddenly from a relative comfort of 67-0 were back to its usual spot of bother at 104-3. The two unbeaten batsmen at the crease – Asad Shafiq (48) and Babar Azam (17) – have shown good positive intent thus far have a real job at their hands, if the tourists are to finish the three-Test series on a high note. Pakistan captain, Sarfraz Ahmed, having had to face plenty of criticism for both his batting and captaincy that has failed to inspire a demoralised side, could afford a smile at the conclusion of South Africa’s second innings. By taking 10 catches at Johannesburg, he overtook a national record of most dismissals by a Pakistan wicket-keeper of 9 in a match jointly held by Rashid Latif (1993-94) and Kamran Akmal (2004-05). A great personal achievement indeed.